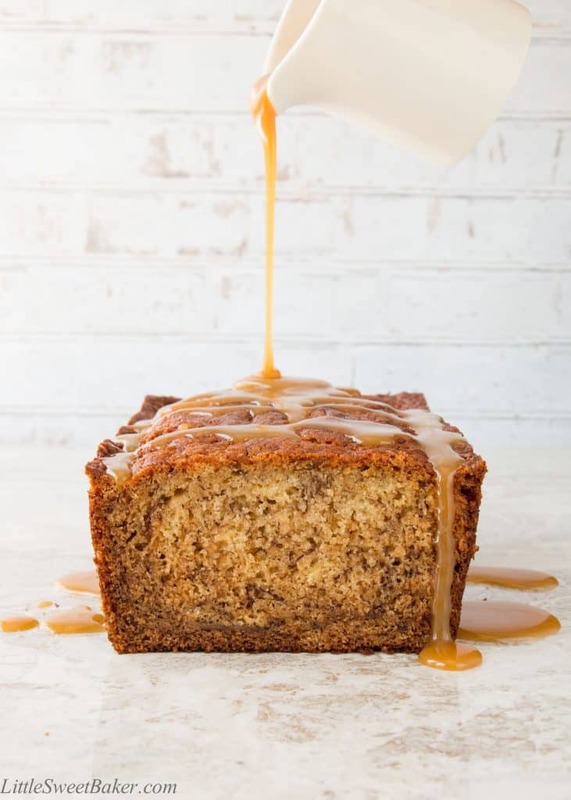 Imagine the flavor of salted caramel infused into a soft and moist banana bread, then drizzled with a warm salted caramel sauce on top. 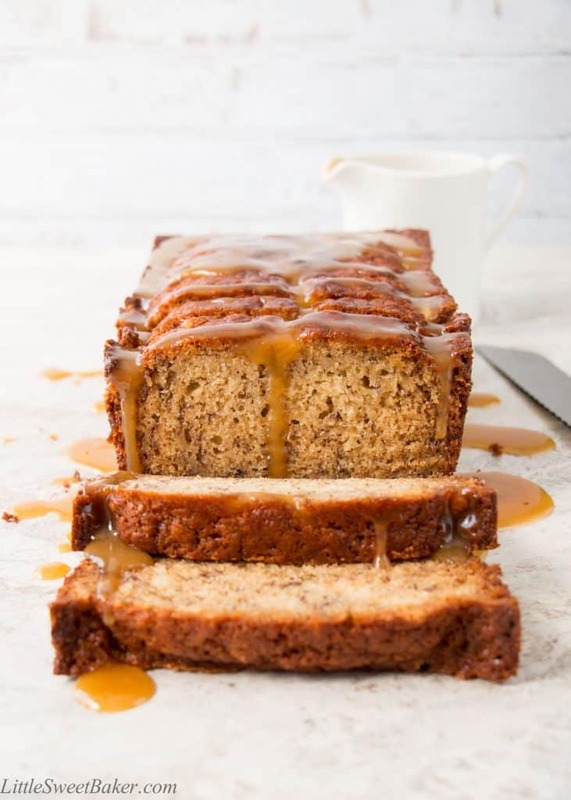 It’s banana bread heaven with a sweet-sticky indulgence. Once again I had a bunch of brown bananas sitting on my countertop. My family seems to go though phases were we eat a ton of bananas like we’re monkeys, then lose interest for weeks. But the nice thing about overripe bananas is that there is always a use for them, and my favorite of course is to bake with them. I decided to take things up a notch and instead of making a standard banana bread, I added a homemade salted caramel sauce to the mix. So the recipe starts with a simple four-ingredient salted caramel sauce that only takes six minutes to make. I added half a cup of the caramel sauce into an old-fashioned banana bread recipe I found in a local church cookbook. I baked it for one hour and once the bread had cooled, I drizzled more caramel sauce over top. The texture is incredibly soft and moist. 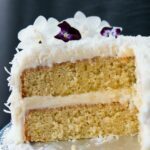 The taste is fruity with the wonderful sweetness of ripe bananas. It has toasty rich notes of butter and brown sugar from the caramel sauce and a hint of salt for a little pizzazz. 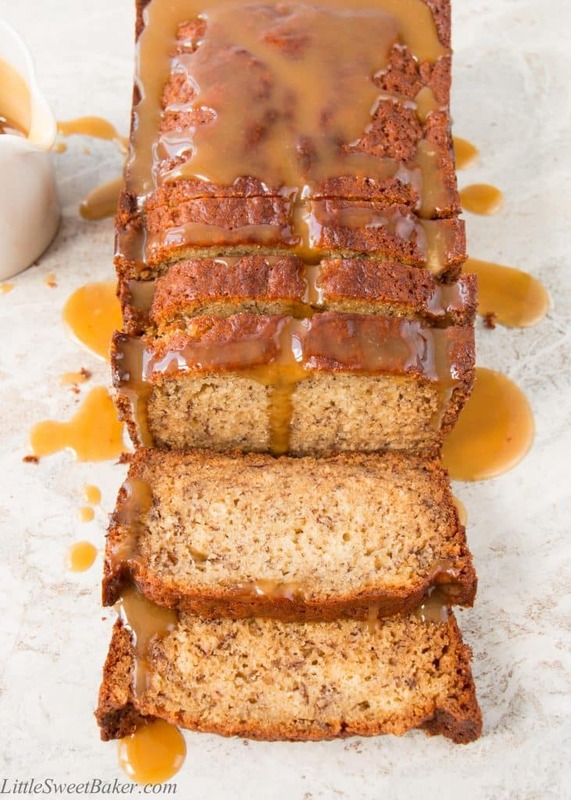 It’s your everyday banana bread elevated with a warm sticky-sweet caramel sauce. 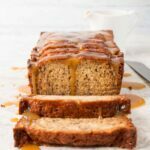 Imagine the flavor of salted caramel infused into a soft and moist banana bread, then drizzled with a warm salted caramel sauce on top. Stir together all the ingredients in a small saucepan. Cook over medium-high heat while stirring frequently until all of the sugar is dissolved, and bring to a boil. Reduce the heat to low and let simmer for 5 minutes. Do not stir. Remove from stovetop and pour into a heatproof jar. Let cool. Meanwhile, preheat the oven to 350F and grease a 9×5″ loaf pan. Using an electric mixer, cream together the butter and sugar in a large bowl. Mix in the eggs, milk and vanilla. Stir in the flour, baking powder and baking soda until almost combined. Fold in the bananas and caramel until just combined. Spoon into prepared loaf pan and bake for 55-60 minutes or until a toothpick inserted into the center comes out clean. Let cool and drizzle with more caramel sauce before serving. The banana bread can be stored wrapped up or in an airtight container at room temperature for 3-4 days. Leftover caramel sauce should be refrigerated. 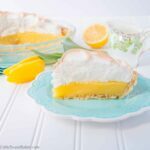 It can be reheated in the microwave for 15-30 seconds to warm up. Caramel sauce adapted from Baker by Nature. Banana bread recipe from Mission Baptist Church Hamilton.